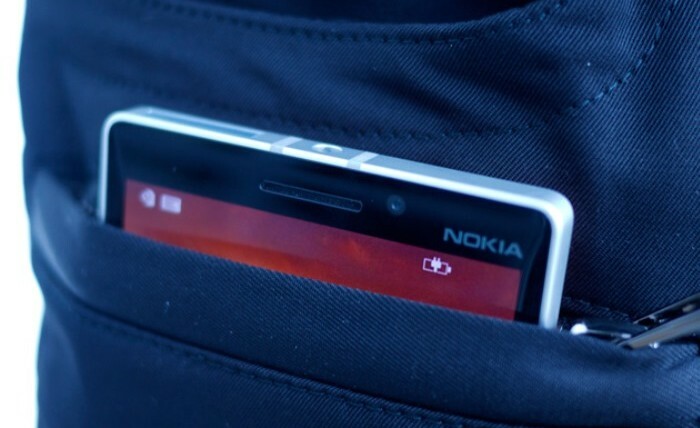 Microsoft Mobile, formerly of Nokia fame, has announced that through its partnership with British menswear fashion designer Adrien Sauvage, they’ve created the world’s first wireless charging designer pants. Sauvage designed the pants with a Nokia DC-50 wireless charging plate sewn into the pockets. Its placement was purposeful, as the device’s proximity to the plate would maximize the efficiency of the technology’s inductive charging setup whilst inside the pocket. For those unfamiliar with the Nokia DC-50, it’s a 2,400-mAh battery that is able to wirelessly charge Nokia Lumia smartphones. When the device itself needs to be recharged, it can be done via micro USB. In a report published on Business Insider, Sauvage said he went through a lot of “trial and error” while designing the wireless charging pants, due in large part to the fact that incorporating the technology into the pants without being a bother to the user’s body was nearly impossible. Matters like heat distribution, let alone the actual physicality of the device (69 x 134 mm; 12 mm thick; and 150 g in weight), were issues that needed to be taken into consideration. According to Sauvage, he was able to overcome these hurdles, though he was unable to make the pants machine washable.